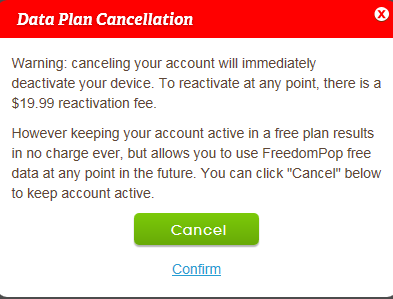 I tried clicking the Deactivate Account link, which took me to a Data Plan Cancellation box to which I confirmed. I was then provided a box about calling M-F from 9a-5p PST. 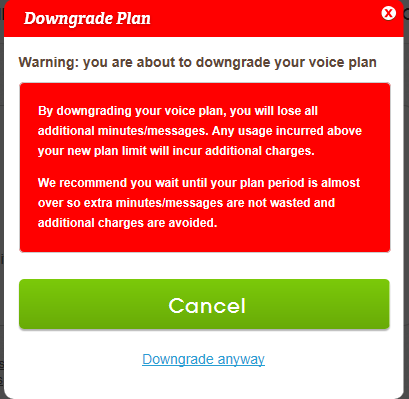 When I tried to downgrade anyway the voice minutes, I was informed that there was a Data Plan Change issue. 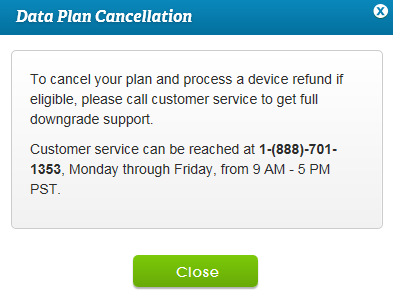 I was able to disable incoming and outgoing calls at least. I would really appreciate if I could cancel both of my accounts in an asynchronous manner. I live under Eastern Time and work, have dinner, etc. during the week. The only time that I was able to get through to Customer Service before was after an hour of waiting on my fifth attempt. Hello @Chris Thompson thank you for providing such detailed description of your request. Please check the email associated with your forum profile as an agent will contact you. Replying to the email from support can be done as you would a regular email (no need to log-in into Zendesk).